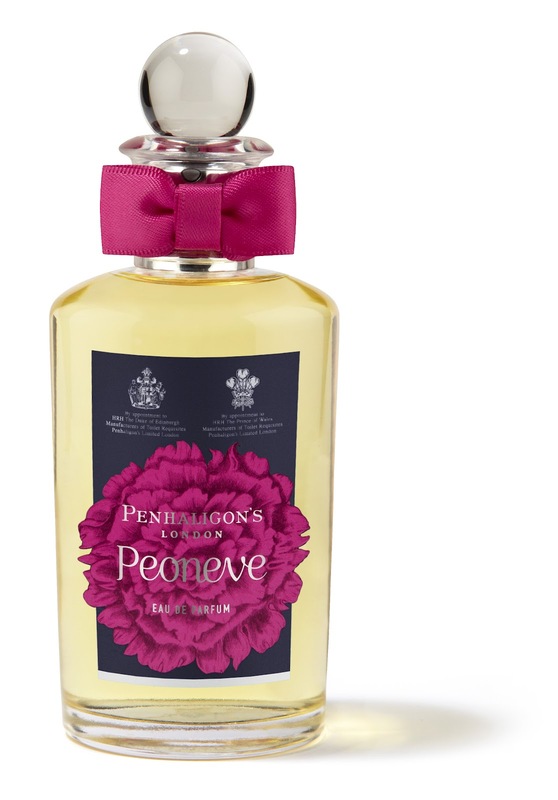 Hot on the success of the marvellous, crisp, gin infused, Juniper Sling (released last year), Penhaligons have once again worked with master perfumer Olivier Cresp to produce their latest release, Peoneve. The name is endearing. It conjures up modern English Mitfords all hons and rebels, pithy statements a plenty while captivating all asunder but I don’t think they had that quite in mind. 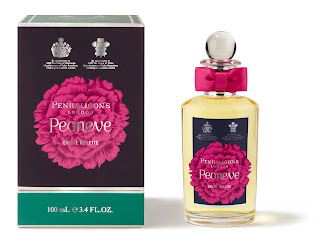 The aim was to create a very modern English fragrance, for sure, but the emphasis was on capturing the difficult heart of the peony and of an English garden in full bloom. And as we all know, capturing any difficult heart requires effort and perseverance. Monsieur Cresp (pictured above) informed me that he likes to work with the best ingredients as quality is everything, and the subtlety in this one was to keep thing simple and the notes pure but light. He particularly discussed his work on the extraction process and how, he wanted light, airy vertical notes instead of a dense heavy feel. He has succeeded. 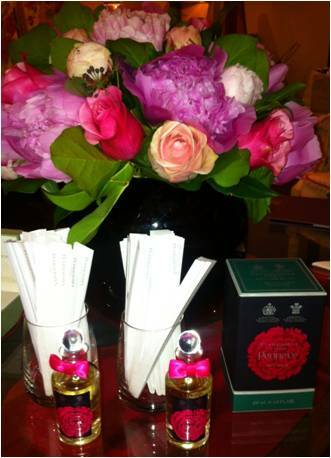 Staged in a beautiful hotel lounge in St James, the launch was filled with puffed up Spring flowers and spilling in elegance to replicate the feel of the perfume. And Peoneve reels with charm and femininity. From the first bolt of fresh cut greens to the big, soft floral heart of peony, hedione (transparent jasmine) and Bulgarian rose, the lightness is evident. The softness comes as a rush – like burrowing your face in petals tinged with fresh dew, it caresses as it touches your skin, addictive and uplifting. 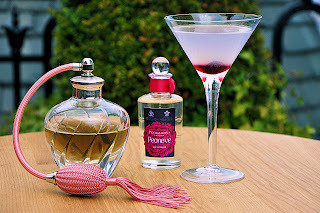 The vivacity of violet leaf and vetiver mingle but it’s the subtlest musk that calms things down and halts everything flying off, like clutching bright balloons being tossed by a English breeze. Peoneve is modern femininity of the Catherine, Duchess of Cambridge and Rosamund Pike variety – gorgeous English roses with a modern outlook but firm ideals and conviction. Like these women and the belated Mitford sisters, the fragrance has great genes. It’s bound to be a very British global hit. 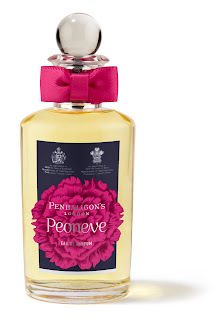 Peoneve will be available in 50 and 100ml EDP sizes and available exclusively from Harvey Nichols from 16th July and then in Penhaligons boutiques, concessions and online from 13th August. 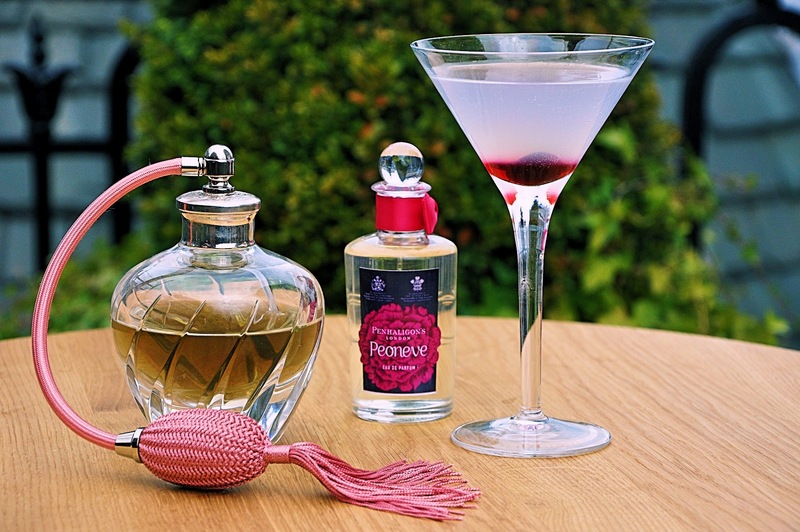 To celebrate the launch Harvey Nichols will transform their 5th floor terrace into a beautiful English Summer garden with a cocktail menu and dessert menu inspired by the notes within the fragrance.